Available in an incredible array of styles and colours, clay tiles are some of the most common used on roofing in the UK for their versatility in design and aesthetic appeal, as well as their value for money. Finished with waterproof glazes, clay roofs look stunning in the sunlight, showing off individual flare and adding value to a property, and with natural reflective properties will improve the thermal efficiency of a building. Slightly more brittle in nature than the heavyweight of slate, with precision craftsmanship clay roofing tiles can often guarantee a lifespan of at least 60 years. As we well know, accidents can happen. Whether it’s the weather, falling debris, or the mistakes in fitting, clay tiles can become cracked, suffer from fatigue or face sheer bad luck. That’s why we provide an reactive repair service – offering clients a rapid 24 hour turnaround for those particularly pressing problems. 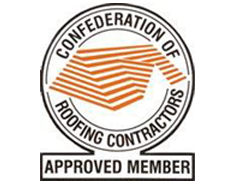 From reactive maintenance work to planned jobs, we also provide complete renewals of clay roofing systems, offering a range of designs and details to a minimum pitch of 30°. So if you’re feeling creative, are looking for a contractor or simply need your clay roof corrected, give us a call of get in touch through our contact form below.